Rocky Mountain Youth Corps is New Mexico’s largest AmeriCorps program, engaging 200 youth per year, ages 16-25. RMYC is honored to deploy six crews of 42 AmeriCorps members from Albuquerque and Taos to help communities in Florida recover from catastrophic flooding caused by Hurricane Irma. 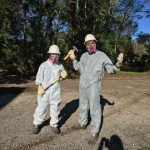 In partnership with FEMA, the Corporation for National and Community Service activated AmeriCorps Disaster Response Teams (A-DRT’s) across the country to engage in recovery projects in the wake of the recent string of tropical storms. A-DRT’s are a nationally deployable resource, similar to National Guard units, and are equally recognized in the emergency management community. Rocky Mountain Youth Corps is proud to be a State AmeriCorps program serving communities in need with a heightened focus and commitment to disaster recovery work. After receiving Incident Command System training to learn emergency management and communication protocols, RMYC crews will be on a 30-45 day deployment to impacted areas. 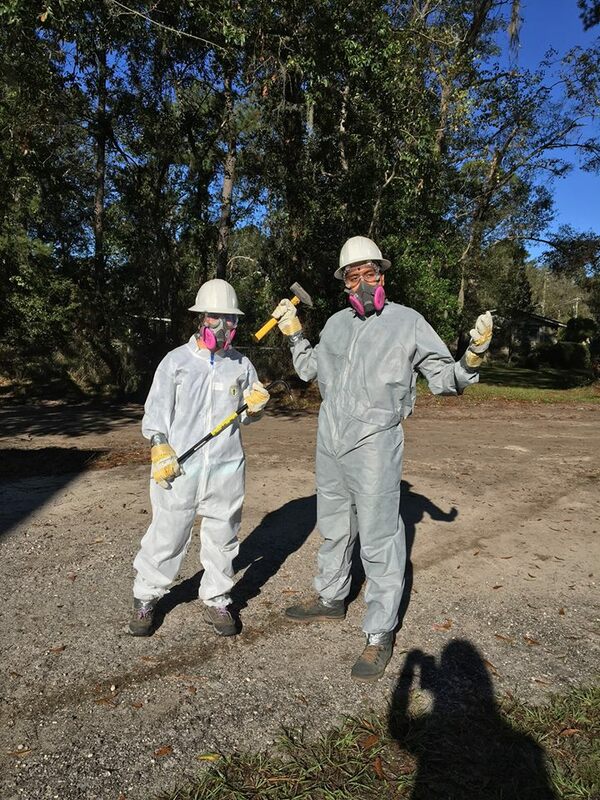 While on disaster relief, AmeriCorps members engage in service efforts that include coordinating logistics at A-DRT field offices, manning volunteer reception centers, canvassing neighborhoods to assess disaster damage, and mucking and gutting flood-damaged homes through mold remediation projects. This will not be the first time AmeriCorps Disaster Response Teams have been called to serve other communities after a natural disaster. Rocky Mountain Youth Corps has been deployed by FEMA to serve in the aftermath of Hurricane Katrina in 2005, Hurricane Sandy in 2012 and the flooding in Louisiana in the Fall of 2016. Additional RMYC crews are on standby awaiting further deployment in the Spring of 2018 to respond to continued relief efforts. 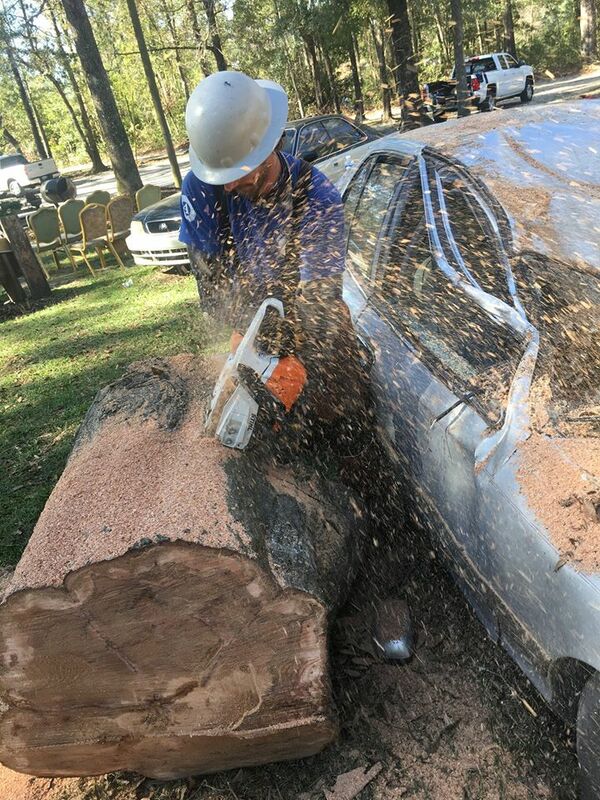 When Rocky Mountain Youth Corps crews are not stepping up to respond to natural disasters they are making a difference year-round in their local New Mexico communities. RMYC is a youth development organization that uses environmental restoration projects on federal, state and tribal lands as a strategy to connect young adults to increased economic and academic opportunities, while fostering environmental stewardship. Through an outdoor, hands-on, teamwork model, Rocky Mountain Youth Corps provides leadership development and professional job training for youth seeking conservation employment opportunities. 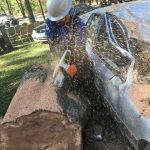 AmeriCorps crews complete various community improvement projects such as trail construction and maintenance, habitat/watershed restoration, erosion control, invasive species management, historic preservation, and chainsaw and forest thinning work. Crew members are enrolled in full-time paid service opportunities while earning additional scholarship money through an AmeriCorps Segal Education Award. Rocky Mountain Youth Corps was founded in Taos in 1995 by a small group of motivated parents and community members who recognized the unique cultural and economic challenges in New Mexico. In 2015, RMYC expanded to serve Middle Rio Grande communities with a second office in the South Valley of Albuquerque. We are proud to be based out of the first urban wildlife refuge in the Southwest, Valle de Oro National Wildlife Refuge. RMYC enrolls youth, ages 16-25, every spring, summer and fall in conservation projects involving both day work crews and overnight backcountry camping crews. To get involved and for more information about the Rocky Mountain Youth Corps, please email Kim Score at kim@youthcorps.org. RMYC will be the featured organization to receive donations for the La Montanita COOP’s “Donate-a-dime” bag program in the Spring of 2018. Please remember to bring in your own grocery bag while you shop, and donate your dime to support our local Youth Conservation Corps programs.